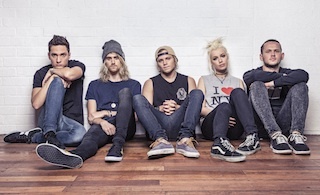 Tonight Alive confirmed last month they will be returning to the US this spring and the Australian pop/rock quintet have indeed stuck to their word! The band revealed last night they will play the Extreme Thing festival in Nevada on March 29th. Don't worry if you can't attend the festival, a full tour announcement is expected to follow in the coming weeks.